Tech. Sgt. 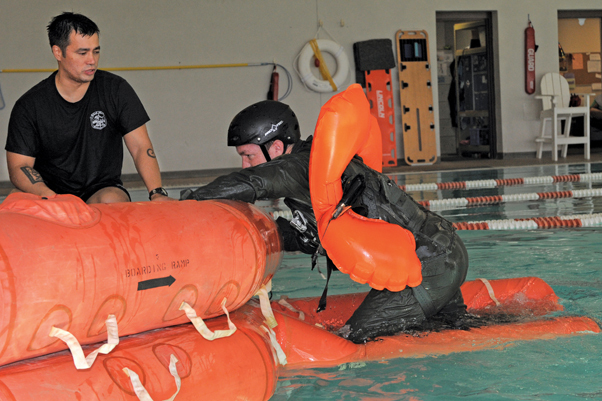 Brent Reynertson, 55th Electronic Combat Group evaluator and mission crew supervisor, prepares to drag another Airman through the water during a water survival training refresher course here Jan. 5. The drag simulates the moments an aircrew member experiences after landing in the water with a deployed parachute. Staff Sgt. 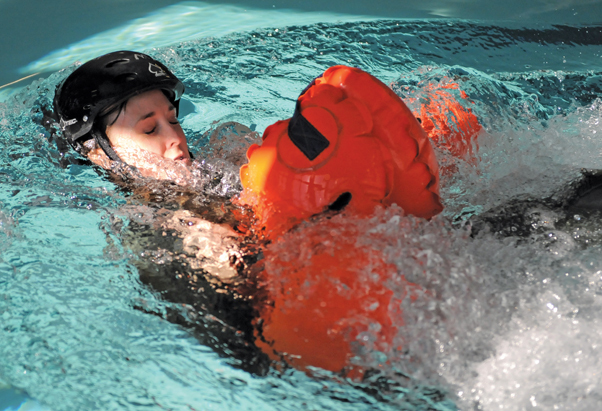 Whitni Levering, 42nd Electronic Combat Squadron airborne linguist, is dragged through the water by other Airmen during a water survival training refresher course. 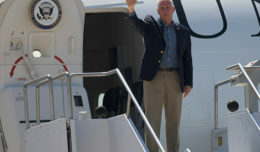 The drag is intended to acclimate aircrew members to the similar sensations of landing in water with a deployed parachute. 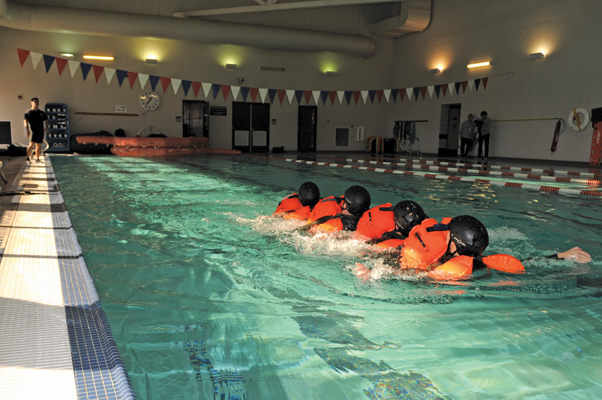 Airmen backstroke as a unit during a water survival training refresher course. 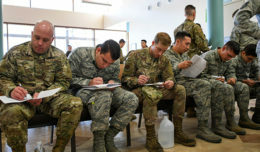 The group activity focused on getting aircrew members accustomed to working together while in water so they are able to preserve energy in the event of a ditched aircraft. Tech. Sgt. 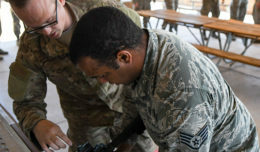 Tony Fancher, 355th Operations Support Squadron survival, evasion, resistance and escape specialist, watches as Tech. Sgt. Brent Reynertson, 55th Electronic Combat Group evaluator and mission crew supervisor, boards a life raft during a water survival training refresher course. 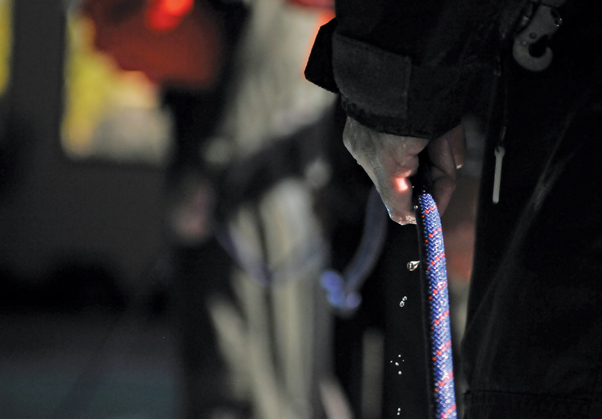 This portion of the refresher course ensures aircrew members know how to properly enter a life raft without incident in order to preserve lives in the event of a ditched aircraft. Staff Sgt. 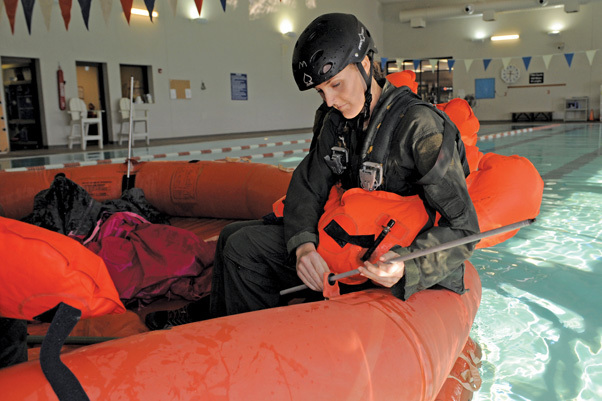 Whitni Levering, 42nd Electronic Combat Squadron airborne linguist, assembles canopy supports on a life raft during a water survival training refresher course. When fully assembled, canopies help protect occupants of the life raft from the elements while at sea.